An absolute must read for anyone who has ever been or ever dreamed of going to Paris. 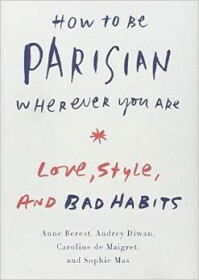 The fabulous authors bring out the Parisian in all of us in this fresh and funny look at what it really means to be Parisian. They don't hold back as they discuss first dates, dinner parties, gossip, fashion and everything in between. You'll be entertained and inspired from cover to cover!